How to Deliver the Best User-Experience on Your Medical Website? People today are moving towards mobile devices. They use electronic devices and smartphones to cater to their everyday needs, which also includes their health. Thus, when you are running a medical website, you need to make sure it is as effective, modern and user-friendly as possible. Websites today have become an asset to organizations and medical organizations are no different as well. Today, just investing your time and money in the online marketing initiatives, content and the design of the website will do your medical website not much good. If you want to build a website that helps you drive revenue, you need to create one that offers immaculate user-experience. The feelings of your users when they are using your medical website speaks volumes about whether or not it is effective and successful. Medical websites today need to offer much more than just being a business billboard. This is the digital age and your audience expect a lot from your website than just offering contact information. They look for websites that serve as an educational and reassuring platform for them, something they can look up to when in need. Gone are the days when just the keywords were the most important thing when it came to web designing. From there to search engine optimization and then to the cry that 'Content is the king', things changed steadily. And then came the idea of optimizing websites for mobile devices and creating for your customers the ultimate user experience. While user experience, UX, has been in practice since the 90s, it has only been a few years that it gained mainstream attention and more and more organizations now consider it one of the most important element when they are creating their websites. Do you know that all you have got is 5 seconds to engage your customers on your website before they drift away? Before you are able to showcase your high profile products and services to your audience, your time is up. According to Google, if your website fails to provide the audience easily what they are looking for, 80% of them will drift away to some other website. Since the user attention span is decreasing every passing day, you need to make sure you are able to engage your audience right from the beginning until the very end. This is where user-experience comes in. If you are looking for ways to decrease your bounce rate and increase the conversion rate, improving the user-experience of your website is very important. Focusing your website on user-experience will help you in creating a website that is easy for your visitors to navigate through and understand. This will not only make your medical website a great one in the eyes of the customers, but will also increase the conversion rate by increasing the website traffic. Remember, a website that is easy to navigate and understand is always going to make you win from your competitors. If you are not sure what needs to be done to create the best user-experience for your audience on your medical website, here are the 7 factors to help you out. These factors are used by many Fortune 500 companies who are winning at their medical websites. The 7 factors to create a result-oriented user-experience on your medical website are as follows. Your medical website must offer the users an effective and efficient way to achieve what they were looking for on your medical website. If your medical website doesn’t offer usability and an easy access to information that your audience are looking for, it is not going to make an impact and your audience will likely drift off to your competitors' websites, which is the last thing you want. The online world today has become merciless. You don’t get a second chance to please your audience as they have so many options available with them. Thus, you need to create trust among your audience about your products and services and building the right medical website with the best user-experience will help you in it. When the customers are provided with an immaculate user-experience, they will automatically be inclined to use your services compared to the competitors. Is your medical website offering something useful to the audience or is it just a showcase of your products, services and contact information? 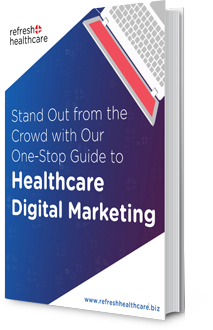 If you want to create a winning medical website, you need to make sure it offers the audience much more than just advertisements and marketing. This will help create the ultimate user-experience for your customers. Your medical website should be easy to navigate through to create the ultimate user-experience. The information the audience is looking for must be easy to find on the website and the visitors should not have to spend a lot of time finding out what lies where. This helps in providing ease of use to the audience which will increase the chances of conversions. By accessibility, we mean creating a user-experience for a wide variety of people. This includes the people with disabilities and the specially able people as well. When we are designing our medical websites, we don’t usually pay much attention to these things which decline the user-experience. If you want to create the ultimate user-experience, it is important to keep accessibility in mind. To create the best user-experience for your customers, your website must offer something valuable to the audience. Unless they find something different and valuable on your medical website, your audience will not spend time on your medical website. 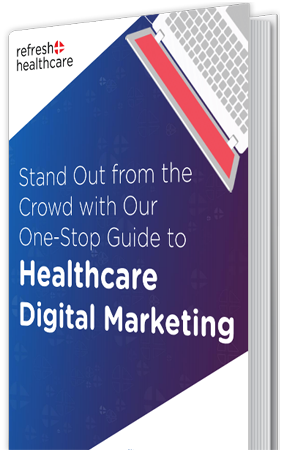 Creating a desire for your products is something that is considered highly valuable when it comes to creating user-experience for your audience on your medical website. Thus, make your products and services along with the design of the website desirable for your audience. With these simple tips and considerations, you will be able to create and deliver the best user- experience on your medical website, which will help you increase your website traffic and help generate more revenue. The best thing is to leave the job to the experts at Refresh Healthcare while you focus on more important jobs in your business. We have a team of experts who create user-friendly websites for healthcare service providers that help you stay on top of the game. Contact us today to know more.